English Heritage has recently published the new Guidance for Divers, ‘Accessing England’s Protected Wreck Sites’ document. See http://www.english-heritage.org.uk/publications/guidance-for-divers/ This fully explains how to apply for a licence for a designated site (including those wishing to apply for a visitor licence). 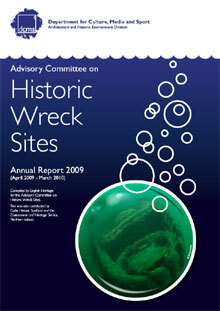 The Department for Culture, Media and Sport has also just published the Advisory Committee on Historic Wreck Sites Annual Report 2009 for the UK. This includes details of the sites designated under the Protection of Wrecks Act 1973, as well as a list of current licensees. It also includes a map of the military wreck sites in UK waters designated under the Protection of Military Remains Act, 1986. This act allows the Ministry of Defence to protect the remains of aircraft and designated vessels that were in military service when lost from unauthorised interference. According to the new limits for PADI Tec Trimix training, Utila Dive Centre has issued the first Tec Trimix certification for diving at 300 ft. In the last dive of the course, PADI Tec Trimix Instructors Guillermo Peirano and Fernando Cañada and PADI Tec Trimix diver Ben Fuller reached a depth of 90 mt/300 ft using a trimix blend with 14% oxygen and 50% helium and performed 20 decompression stops using different gases on the way to the surface. The team´s mission on this dive was to study the ocurrences of Lionfish at different depths. The dive took place at the site ‘The Pinnacle’ on the Northside walls of Utila, in the Caribbean Bay Islands of Honduras.